magneto side seal for sachs 505 and 504! Two bearings and two seals. Enough to rebuild one av7 or av10. For stock carters. Small bushing for motobecane engines. This ones for the engine tension spring. Complete set of beaings and seals to rebuild a puch e50 engine. Super high quality double lipped VITON engine seals for puch e50 engines. More details inside. 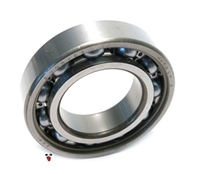 SKF brand 6302 QR steel cage bearing for all moby carters - av7, av10, av88. Complete set of bearings and seals to rebuild a two speed Garelli VIP engine. Complete set of bearings and seals to rebuild a Morini m02 engine. Super quality double lipped puch e-50 engine seal set. Complete set of bearings and seals to rebuild a Derbi piston port engine. Complete set of bearings and seals to rebuild a Derbi flatreed engine. Be sure to grab a case gasket if you need it. Complete set of bearings and seals to rebuild a Peugeot 103 engine. Engine seals and bearings for a Peugeot 103 engine. New engine seal set for av7 and av10 motors. Set of 2. Cheapo budget version puch e-50 engine seal set. New old stock big end roller bearing for minarelli p4 crankshafts. This will also fit regular minarelli v1, v1L, v1h and carabela cranks! This is the needle bearing you need if you want to convert your puch clutch bell from the brass bushing to a roller bearing. You must have your clutch bell bored out in order for this to fit, it will not fit without machining. Vintage Sachs engine rebuild kit for 504 and 505 motors. Small-end con rod needle bearing for Motobecane mopeds. Measures 13 x 16 x 14. Stock motor mount for Motobecane mopeds. Fits on your AV7, AV10, MBK 50v, 51v engines. Universal 6202 bearing. Has many uses - - see within. Small end con rod needle bearing for Solo mopeds. 10mm x 14mm x 3mm. 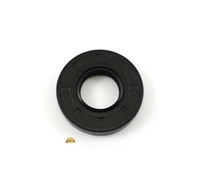 6203 NR snap-ring bearing for rebuilding a Puch e-50 engine. Seals NOT included. Comes without seals ready to go into your engine. High quality SKF, NTN, FAG, NKE, NACHI, ZKL or similar bearing. No junk that you don't want to put in your beautiful rebuilt engine. Crankshaft bearing for puch e-50 engines, Derbi engines, Tomos engines, Morini engines, minarelli v1 engines, za50 output shaft, and Garelli NOI. Puch e50 crankshaft seal for both magneto and output shaft. 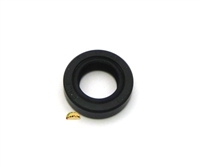 You need two of these to replace the seals in your e50. These are also the crankshaft seals for Garelli VIP engines. Puch e50 clutch side seal. new honda moped crankshaft seal! for so many bikes it boggles the mind!! these are the special size honda hobbit, camino, PA50 seals for use with hobbit performance crank. this will not fit a stock crank! if you want a stock seal look here! 35 x 47 x 7 main shaft engine seal for Tomos A3, A35, A55. 6204 crankshaft bearing for derbi, peugeot, mb5 and yamaha chappy. 6205 input shaft bearing for both derbi piston port and pyramid reed. 6303 clutch side crankshaft bearing for both derbi piston port and pyramid reed. 6301 output shaft bearing for derbi flatreed and revolution. Complete set of bearings and seals to rebuild a Morini m1 or m01 engine. Beaings and seals to rebuild a puch e50 crankshaft only.